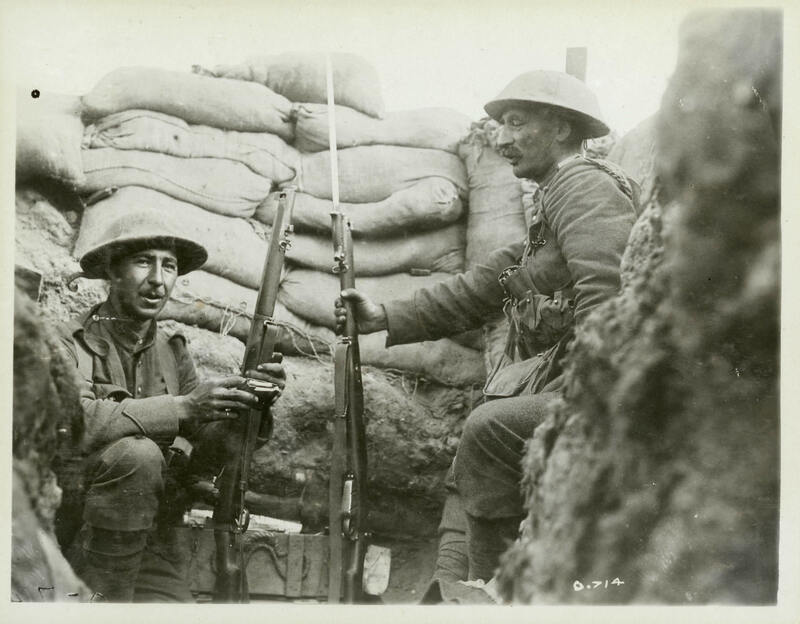 These two soldiers are in an advanced listening post only 30 metres from the German lines. Listening posts were used to gather information on the enemy and as early warning sites for possible attack. Because the positions were close to the enemy's lines, they were dangerously exposed, and often the target of raids.